The workshop will focus on current topics in the physics of flavour, rare processes and CP violation. A particular emphasis will be put on the phenomenology of B-meson decays, including general strategies for determining CKM parameters, recent developments in the treatment of QCD effects, and aspects of physics beyond the standard model. 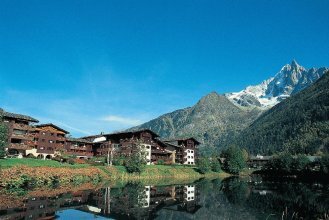 Related topics in flavour dynamics, such as kaon decays, charm physics and neutrinos, will also be discussed.The workshop will be held at the Hapimag resort in Chamonix, which is located next to a small lake and within 20 minutes walking distance from the centre of Chamonix. Accommodation and talks will be on the same site.